Practitioners and consumers have a wide array of products to choose from for topical pain relief, cooling/warming products, that can be used to massage onto the skin to treat specific areas or more regional massage treatments. Picking the appropriate one can be a little confusing. We are going to break it down for you to make your work a cinch. Professionals and consumers seek these products for pain relief, attributed to muscle soreness from over exertion, sports or arthritis. Active Ingredients – Simplifying the search. There are literally thousands of products that fall under this category. But almost invariably, they all share just 3 active ingredients: Menthol, Camphor, and Capsaicin. And to make it even simpler, Capsaicin is rarely used in massage applications because of difficulty in handling, leaving Menthol and Camphor, in that order, as the common ingredients. Menthol in its natural state is derived from peppermint or other mint oils. 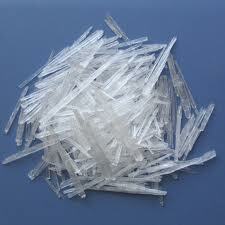 It is a waxy, crystalline substance, clear or white in color, which is solid at room temperature. How it works: Menthol creates the well known cooling sensation not by actually lowering temperature, but by chemically activating the cold-sensitive TRPM8 receptors in the skin. Menthol’s pain reducing properties are mediated through a selective activation of κ-opioid receptors. 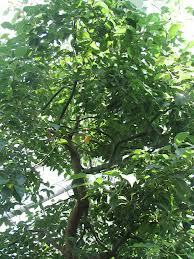 Camphor is found in wood of the camphor laurel (Cinnamomum camphoraa), a large evergreen tree found in Asia. Today it is mostly derived from the oil of turpentine. How it works – Camphor is readily absorbed into the skin and acts similarly to menthol with the addition of acting as a slight local anesthetic and antimicrobial substance. 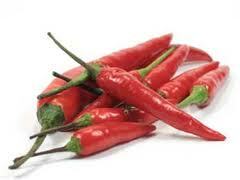 Capsaicin is the active component of chili peppers. How it works – Capsaicin works by depleting or interfering with substance P , a chemical involved in transmitting pain impulses to the brain. Choose your Strength Percentage – Now that you have an understanding of the active ingredients and their properties, it’s time to decide how strong or concentrated you want your application. Higher percentages, 6-12%, tend to be used for spot treatments, or a take home application for consumers. The more dilute formulas, approx 3%, are suited to more broad area applications where you will be incorporating the product in your massage or deep muscle treatment. The Hard Part (lots of choices) – Now comes the part where you have to choose how you want the active ingredients delivered. There is a wide range of variation here. You’ll find balms, gels, lotions, sprays, patches. There are very clean formulas, somewhat clean, and downright chemically formulas I wouldn’t touch in a hazardous materials suit. We have a list of some of the more popular items below with ingredients. Outside of that, armed with the knowledge learned here, you can do independent research to see which items suit your needs. Biofreeze – probably the most popular entry in the category. You may be surprised to learn the menthol content is only 4% (10% in the sprays) because it feels quite strong. Note that alcohol is present in the formula creating an evaporation effect adding to the cooling sensation. Biofreeze is offered in everything from a roll on to single use. It’s trademark green color is derived from artificial coloring, but smartly, a colorless formula is available. Tiger Balm – another well known brand. Tiger Balm has 10+ percentages of menthol and camphor making it a spot treatment only application. Tiger Balm uses paraffin petrolatum and mineral oil in its formulas. Not my cup of tea – I’d prefer to avoid that on my skin! Sacred Earth Warming Lotion – really nice consistent product. Big customer favorite. 3% menthol means is great to incorporate into a full treatment. But why “warming” you ask? I ask the same question and directed it to Kyle of Sacred Earth. (You can call also and probably get to speak to him directly. Sacred Earth and Kyle get a 5***** rating in terms of information and ethics). I learned it’s the addition of cinnamon that creates the warming effect. Fantastic. I urge you to try this product. 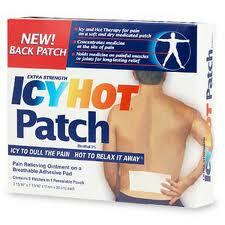 Icy/Hot – This is one of the common national pharmacy brands. Read the ingredient list….fast, without stuttering. >>>>Camphor 4%, Menthol 16%, acrylates/C10-C30 alkyl acrylate crosspolymer, capsaicin, cetyl alcohol, citric acid, diisopropyl adipate, disodium EDTA, ethoxdiglycol, glyceryl stearate, glycine soja sterols, menthyl lactate, methylparaben, PEG-150, sterate, phenoxyethanol, ploysorbate 80, propylene glycol, SD alcohol 40, stearenth-2, steareth-21, tocopheryl acetate, triethanolamine, water, xanthan gum<<<<<. Wow, probably works get for paint removal also. Soothing Touch Narayan Gels and Balms – We just love these formulas. One reason is the ingredients: pure and straightforward INGREDIENTS INGREDIENTS: BEES (CERA ALBA) WAX, CANDELILLA (EUPHORBIA CERIFERA) WAX, SESAME (SESAMUM INDICUM) OIL, ESSENTIAL OILS OF CLOVE (EUGENIA CARYOPHYLATTA), EUCALYPTUS (EUCALYPTUS GLOBULUS), PEPPERMINT (MENTHA PIPERITA), WHITE CAMPHOR (CINNAMOMUM CAMPHORA) AND MENTHOL (MENTHA ARVENSIS). Choose gel or balm in both regular and extra strength. A must in your cabinet! Biofreeze Menthol 4-10% Menthol, Aloe Barbadensis Leaf Extract, Arnica Montana Flower Extract, Arctium Lappa (Burdock) Root Extract, Boswellia Carterii Resin Extract, Calendula Officinalis Extract, Carbomer, Camellia Sinensis (Green Tea) Leaf Extract, Camphor USP, Glycerin, Llex Paraguariensis Leaf Extract, Isopropyl Alcohol, Isopropyl Myristate, Melissa Officinalis (Lemon Balm) Leaf Extract, Silicon Dioxide, Tocopheryl (Vitamin E) Acetate, Triethanolamine, Purified Water USP, Blue 1, Yellow 5 (no coloring in colorless formula) One of the most well known brands. Available in every conceivable style (with more to come I am sure!) – gel, roll on, spray, sample size, on to go single use, etc……..
Biotone Polar Lotion Menthol 6% Purified Water, Menthol (Mentha arvensis), Natural Glycerine, Vegetable Derived Emulsifying Wax, Aloe Vera Oil (Aloe barbadensis), Essential Oil of Wintergreen (Gaultheria procumbens), Extracts of Rosemary (Rosmarinus officinalis), Lavender (Lavandula angustifolia), Juniper (Juniperus communis), Peppermint (Mentha peperita), Eucalyptus (Eucalyptus globulus), Sodium Myreth Sulfate, Phenoxethol and Mixed Parabens, Alcohol, Carbomer, TEA Popular formula from the biggest name in massage lubricants – note: it appears this formula still uses parabens – but to be fair, if you are not using parabens, you are using some other preservative….and no matter what anyone tells you, there is no “natural” effective one. Bon Vital Sport Menthol Purified Water, Alcohol SC 40B, Menthol, Polysorbate, Carbomer, Sodium Hydrozide, Sodium Hydroxymethylgrycinate, Camphor Bark Oil, Silica, Tetrasasodium EDTA, Lavender Oil, Lemon Peel, Melissa Oil, Peppermint Oil, Juniper Berry Fruit Oil, Cinnamon Leaf Oil, Clove Flower Oi Bon Vital’s version available in multiple sizes. Icy Hot Camphor 4%, Menthol 16%, Camphor, Menthol, acrylates/C10-C30 alkyl acrylate crosspolymer, capsaicin, cetyl alcohol, citric acid, diisopropyl adipate, disodium EDTA, ethoxdiglycol, glyceryl stearate, glycine soja sterols, menthyl lactate, methylparaben, PEG-150, sterate, phenoxyethanol, ploysorbate 80, propylene glycol, SD alcohol 40, stearenth-2, steareth-21, tocopheryl acetate, triethanolamine, water, xanthan gum Check with a Dr, or maybe a shrink or consult a dictionary before using! Sacred Earth Warming Lotion Menthol 3% Purified Water, Organic Sunflower Oil, Octyl Palmitate, Vegetable Glycerin, Organic Aloe Barbadensis Leaf Juice, Glyceryl Stearate, Cetyl Alcohol, Stearic Acid, Panthenol, Allantoin, Organic Menthol Crystals, Organic Coconut Oil, Organic Cinnamon Leaf Oil, Organic Lavender Extract, Organic Arnica Extract, Organic White Tea Extract, and Organic Chamomile Extract, d-a Tocopherols, Organic Cocoa Butter, Organic Jojoba Oil, Organic Borage Oil, Organic Tamanu Oil, Sodium Carbomer, Phenoxyethanol, Ethyl Hexyl Glycerin Nice smooth formula from a very well respected company. Soothing Touch Narayan Extra Strength Gel and Balm Menthol 8-10% INGREDIENTS: BEES (CERA ALBA) WAX, CANDELILLA (EUPHORBIA CERIFERA) WAX, SESAME (SESAMUM INDICUM) OIL, ESSENTIAL OILS OF CLOVE (EUGENIA CARYOPHYLATTA), EUCALYPTUS (EUCALYPTUS GLOBULUS), PEPPERMINT (MENTHA PIPERITA), WHITE CAMPHOR (CINNAMOMUM CAMPHORA) AND MENTHOL (MENTHA ARVENSIS) If you have not noticed…we like! No preservatives (really! ), no petrolatum.